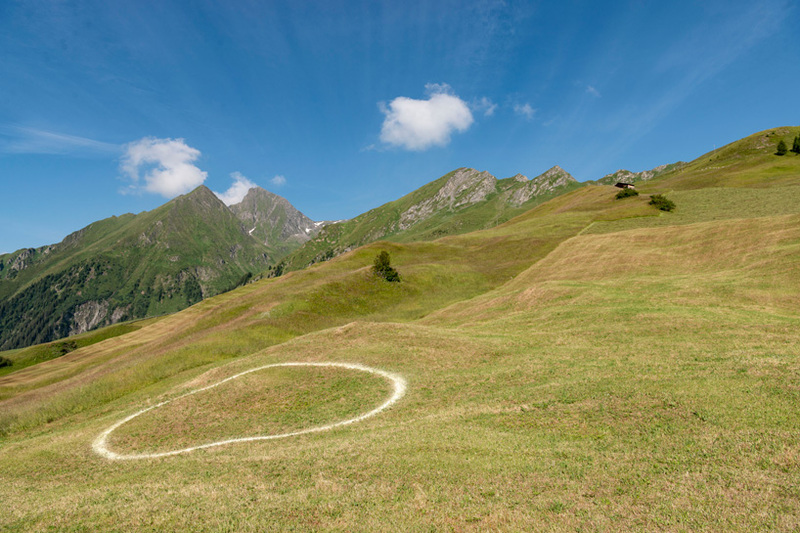 spread across the alpine valley of safiental, switzerland, hikers can explore 14 contemporary pieces of art that reinterpret the awe-inspiring nature that surrounds them. 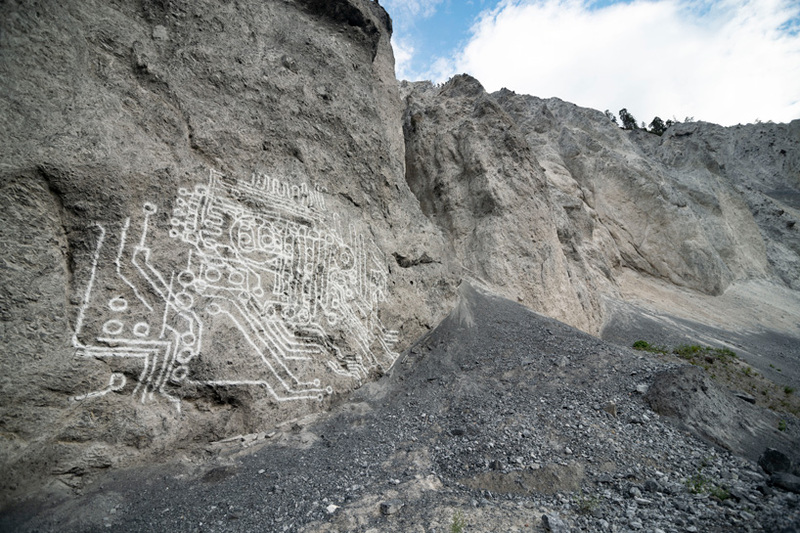 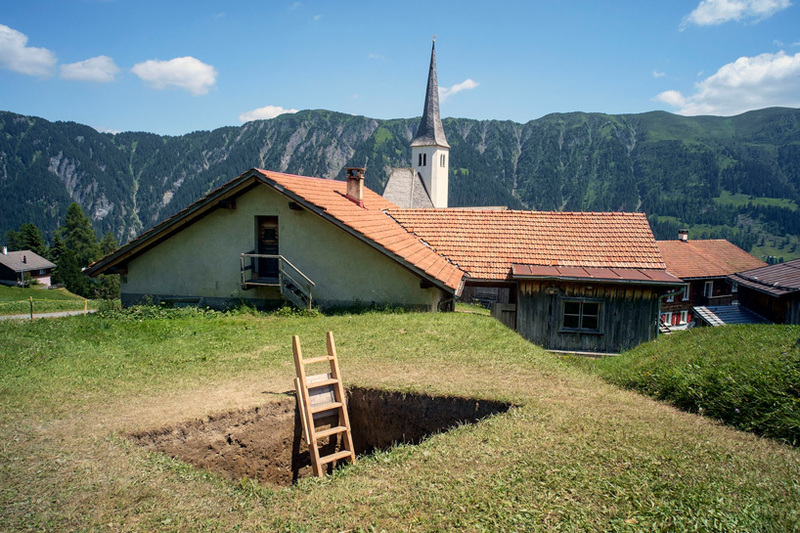 art safiental, a public outdoor biennial running for its second edition, explores the theme of ‘horizontal-vertical’ for 2018. as such, the work re-conceptualizes historic american land art of the 1970s, which focuses on horizontal landscapes, to align with the vertical orientation of the swiss mountains. 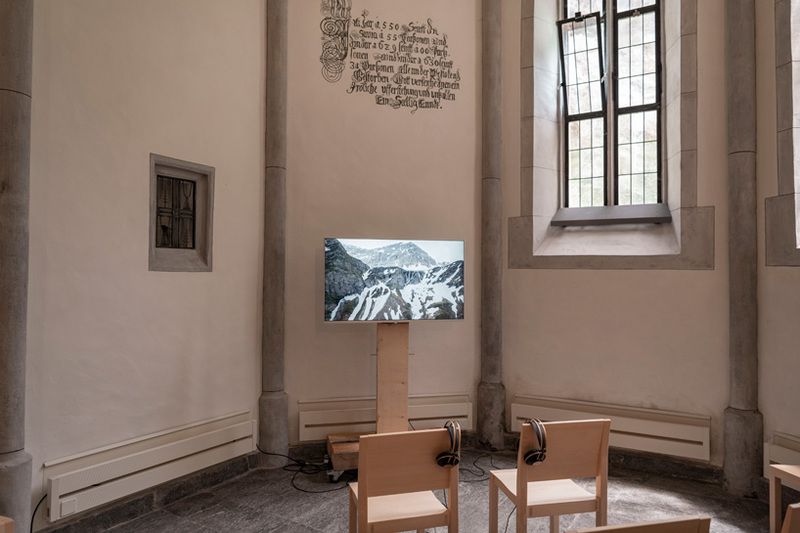 ‘while the canonical positions from the american west often deal with the horizontal, representatives of the alpine countries have almost no other choice geographically than to deal with the vertical. 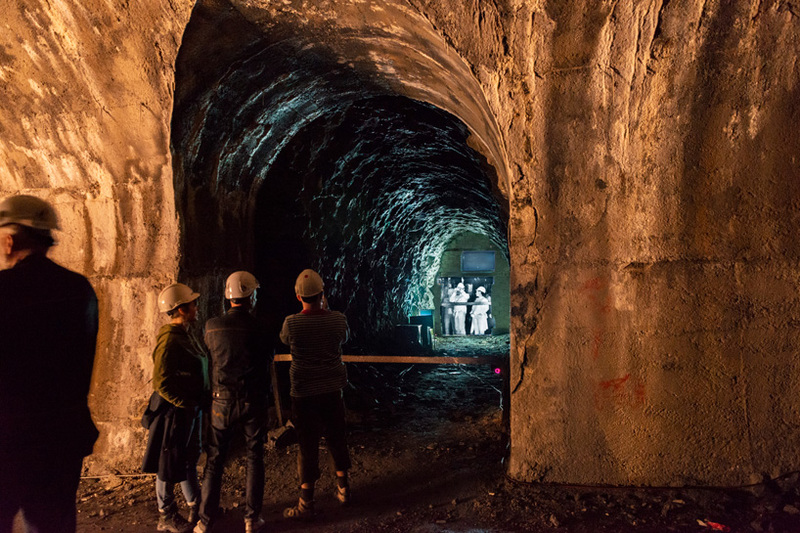 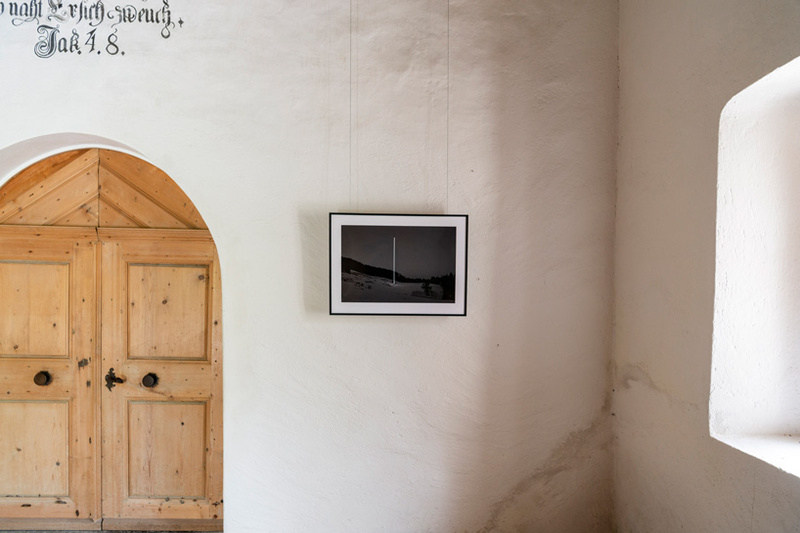 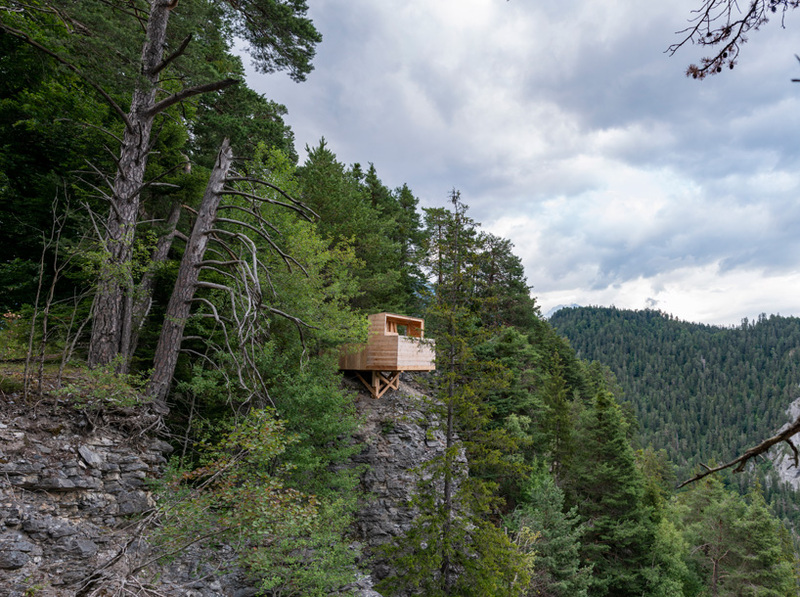 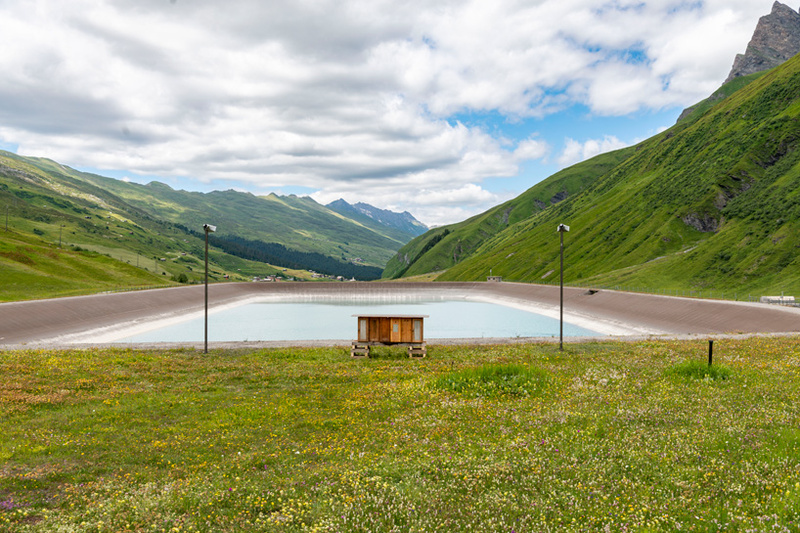 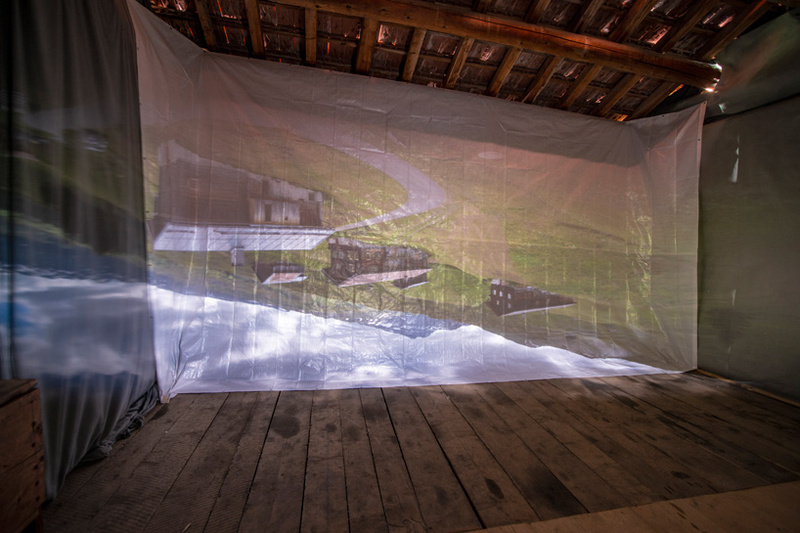 in this field of tension between mountain and plain, most of the works of this year’s show are re-positioning and reinventing the landscape,‘ explains artistic director johannes M. hedinger, who founded of the biennial and summer school alps art academy in 2016.
the exhibition of art safiental 2018 is placed in many different settings, from inside to out and atop a mountain to floating on a lake. 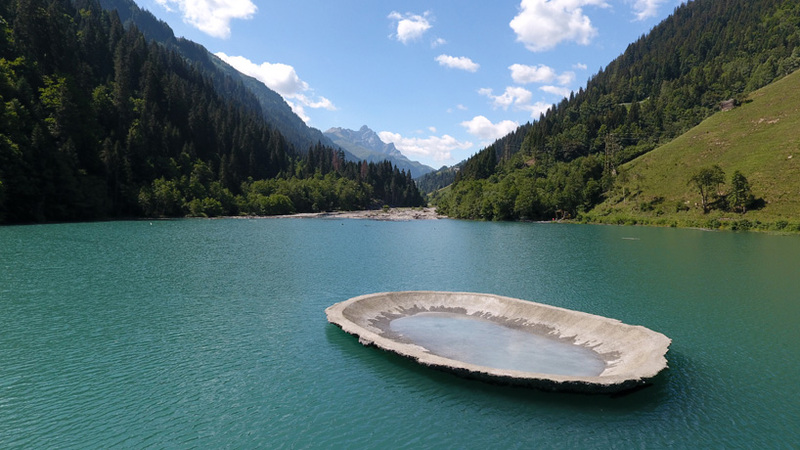 To highlight a few: zurich based artist bob gramsma floats an 8 x 8 meter, 10 ton concrete shell in a lake; the ‘himmel III’ by swiss-austrian duo bildstein / glatz reverses the view from horizontal to vertical with the monumental L-shape sculpture; and lita albuquerque’s transparent earth work is placed on a high vantage point, depicting a woman lying down and listening to the depths of the planet. 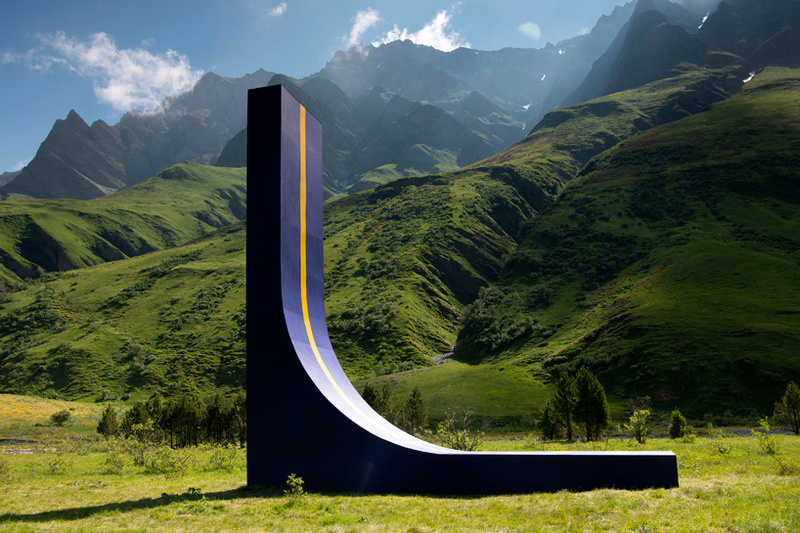 this communicates to the other side of the globe with an indentical figure to be placed in new zealand. 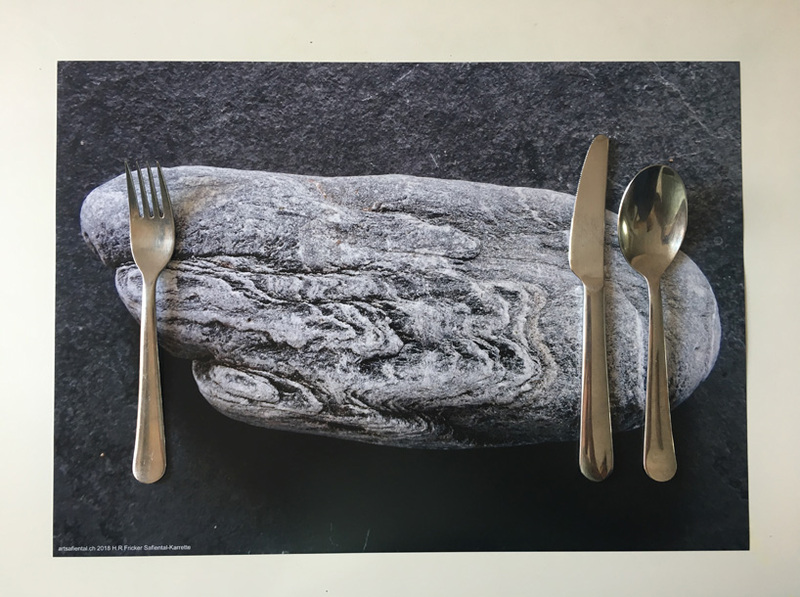 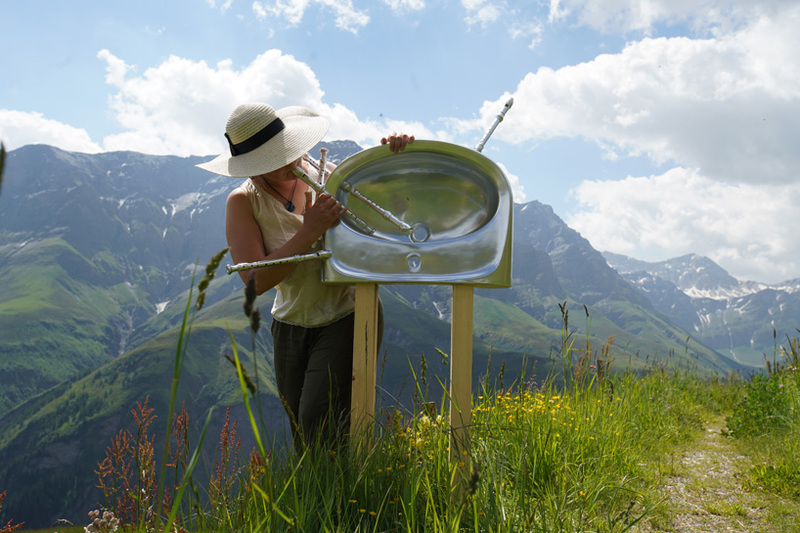 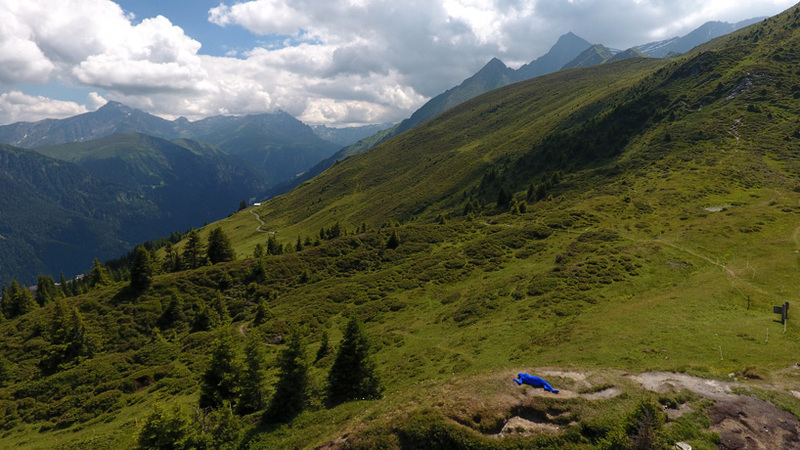 from versam to tenna, safien platz to turrahus and wanna, the art safiental 2018 exhibition is free for visitors to explore – just like the landscape around it. 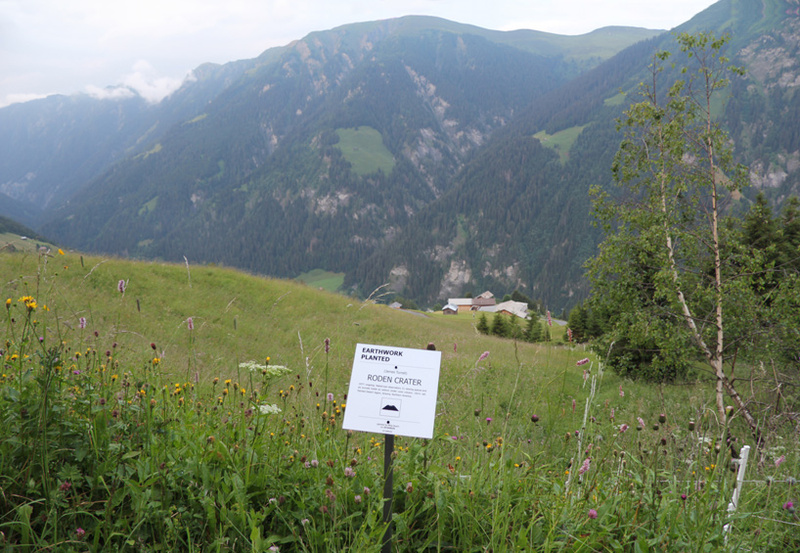 from july to october, the art is accessible via hiking trails and also public transport, with exact locations marked on a free hiking map.